Madison, Wisconsin - The Internet is filled with information about colon cleanses and how they can lead to quick weight loss. Yet, according to UW Health gastroenterologist Dr. Arnold Wald, if you hope to drop some pounds to fulfill your New Year’s resolution, using colon cleanses is a waste of time and money, and could lead to health problems. Colon cleanses may include an assortment of enemas, laxatives, herbs and natural supplements. 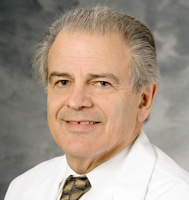 Wald, who is also a professor at the University of Wisconsin School of Medicine and Public Health, said colon cleansing goes back to the middle of the nineteenth century when people believed the colon was the “sewer” of the human body and responsible for diseases and maladies including sexual dysfunction and mental illness. Eventually, this theory was debunked in the early 1920s, although colon cleansing is still common in areas of Eastern Europe and is offered at a number of spas. Wald said overuse of colon cleanses may cause a loss of electrolytes, which are vital for heart, brain and kidney health. A shortage of electrolytes could mean problems for people who have chronic medical conditions such as diabetes, kidney disease, heart ailments and high blood pressure. Colon cleansing may also cause diarrhea, dehydration and fatigue caused by removal of vitamins and nutrients that provide energy. Wald said the best way to lose weight is through a balanced diet including fruits, vegetables and fiber combined with increased physical activity.